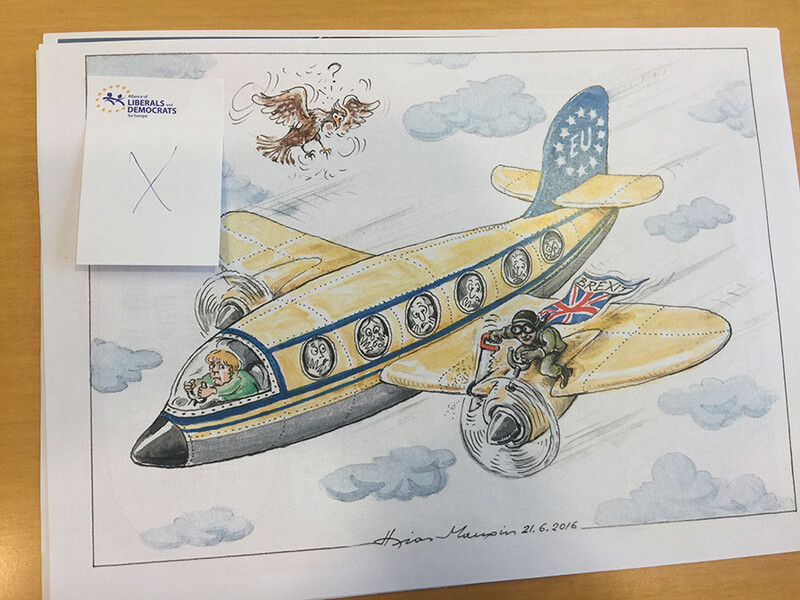 The exhibition, which features work from both French and Greek cartoonists, was due to be unveiled at the European Parliament in Brussels on September 25 as part of the year marking 60th anniversary of the Treaty of Rome. 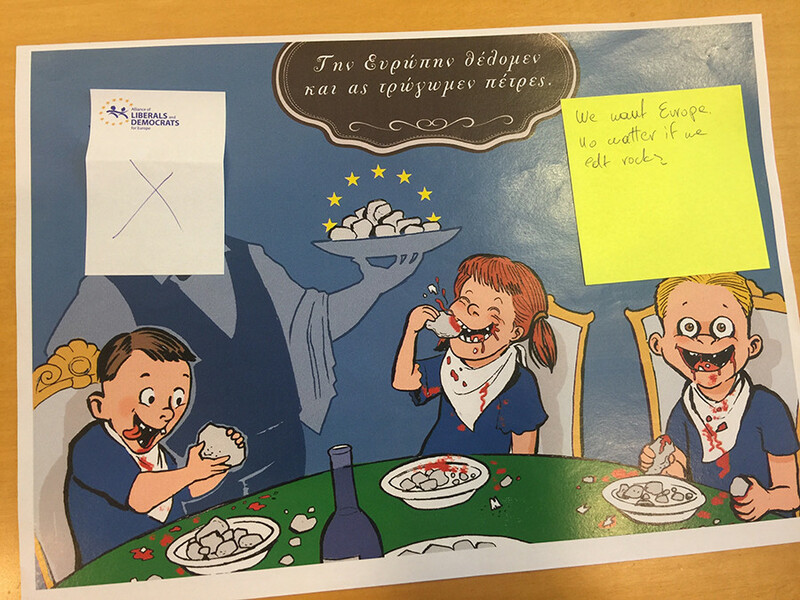 However, after evaluating the work for offensive content, MEP Catherine Bearder rejected 12 of the 28 submissions from Greek artists. 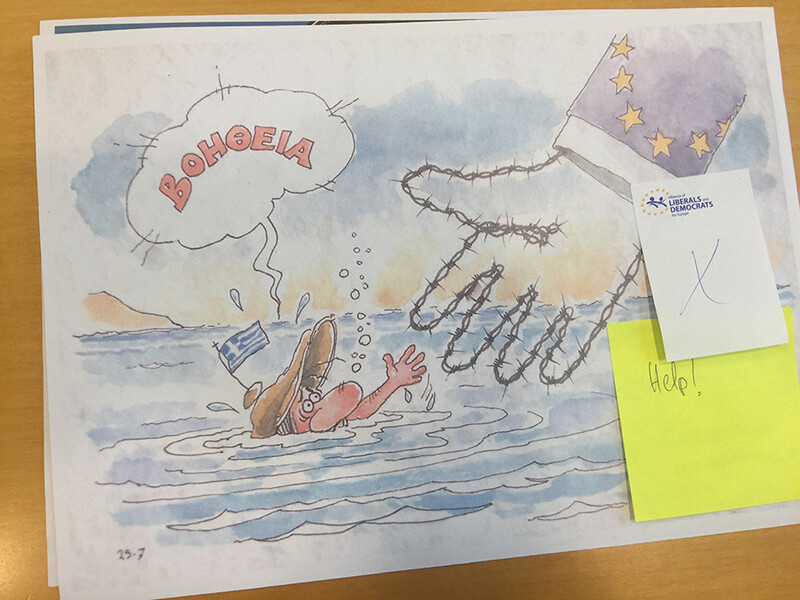 One of the organizers of the exhibition, Greek MEP Stelios Kouloglou, who is a member of the left-wing Syriza party, told RT the cartoons do not insult the EU in any way. “I feel like George Orwell has come to the European Parliament,” Kouloglou told RT. 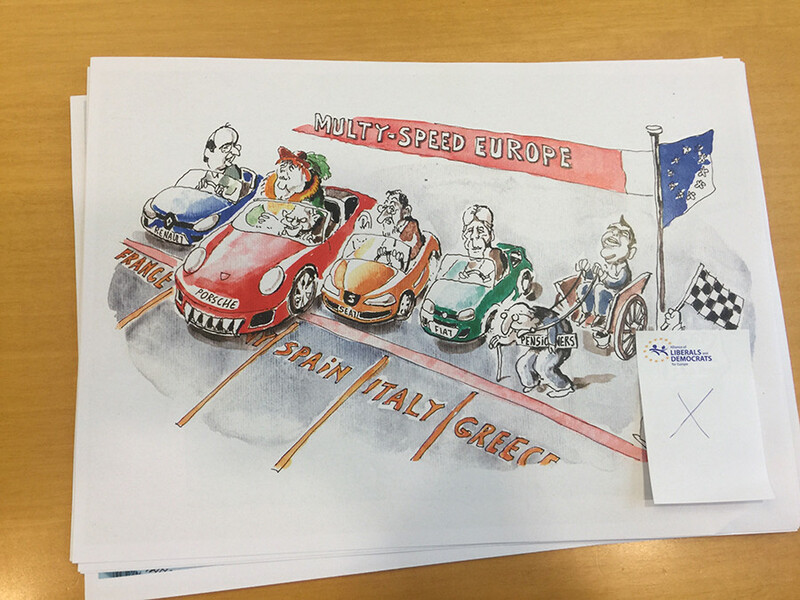 “The cartoons respect the values of the European Union, because among the values of the European Union are smiling, laughing, humor, the sense of being human beings. So nothing is violated,” he said. Kouloglou along with co-organizer, French MEP Patrick Le Hyari, are going to appeal Bearder’s decision to the President of the European Parliament, Antonio Tayiani. “The exhibition was to take place on 25 September, and it will take place! It will take place either outside the exhibition, or inside. 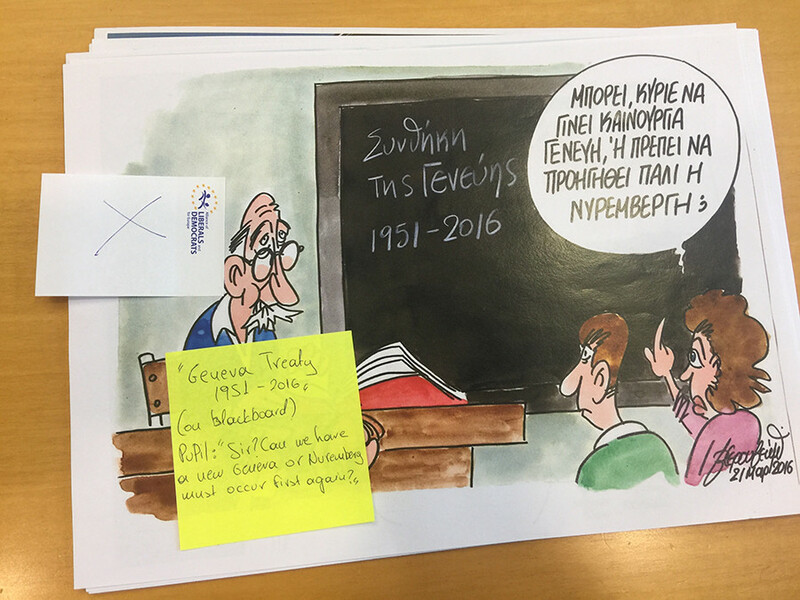 If they forbid the exhibition inside, if they censor the exhibition, I’m not going to accept the censorship that needs to display only sixteen out of twenty-eight Greek cartoons from very famous Greek cartoonists,” Kouloglou said. 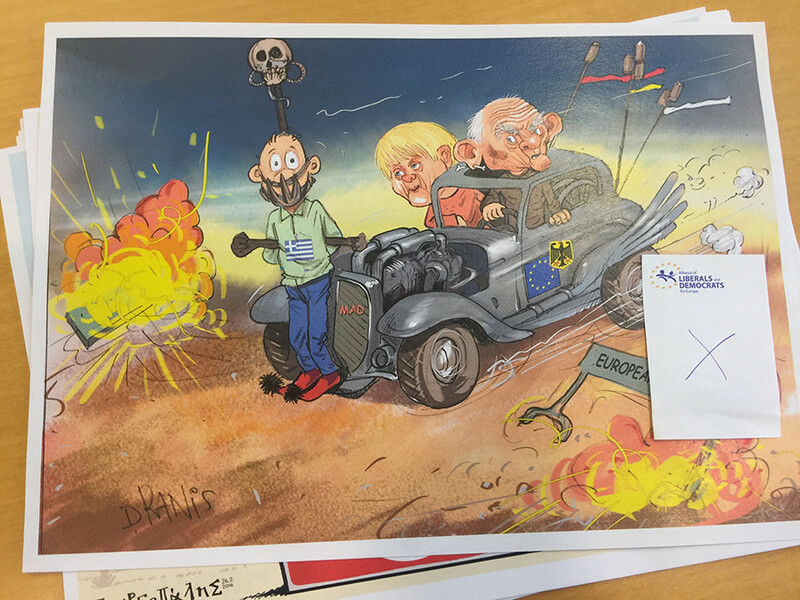 Most of the rejected cartoons mock Brussel’s attitude towards Greece, Brexit, EU asylum policy and German Chancellor Angela Merkel. 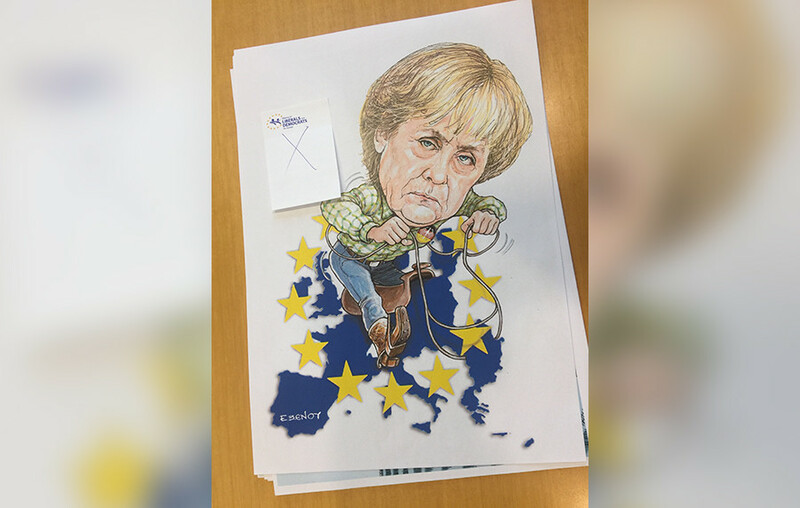 Kouloglou however insists that since the exhibition is set to start the day after the German elections it won’t sway public opinion in any way. Greece’s relationship with Germany and the rest of the EU are cold due to tensions over the Eurozone crisis, WWII reparations and the ongoing refugee and migrant crisis, in which Greece and other countries in southern and eastern Europe have been forced to bear the brunt of new arrivals, putting a severe strain on their resources.